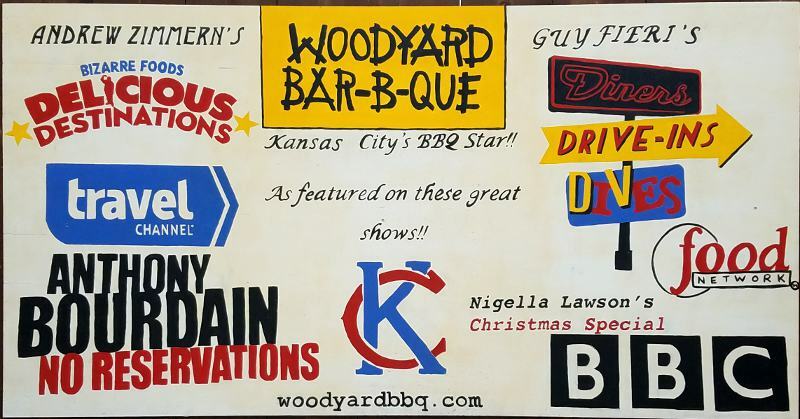 Although Woodyard Bar-B-Que in Kansas City, Kansas is one of the less well known BBQ restaurants locally, it has had attention nationally for many years. 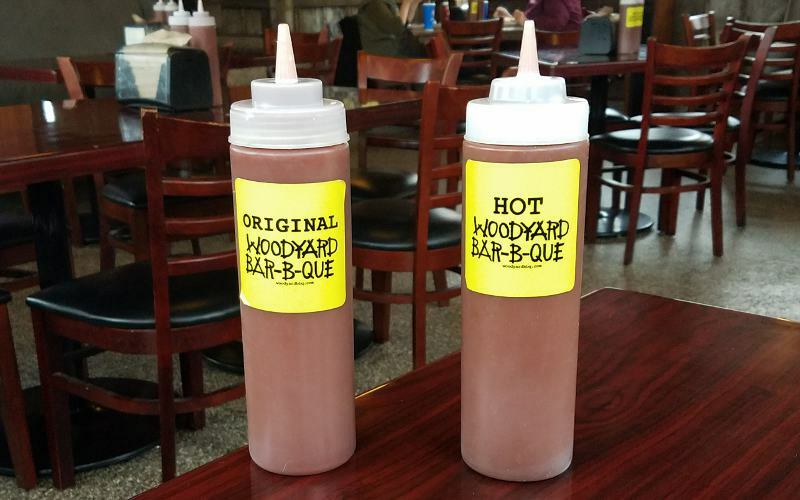 Many serious BBQ fans include Woodyard among their favorite BBQ restaurants. The Woodyard began selling selling various woods for use in grills & smokers in the 1950s and still sells wood. 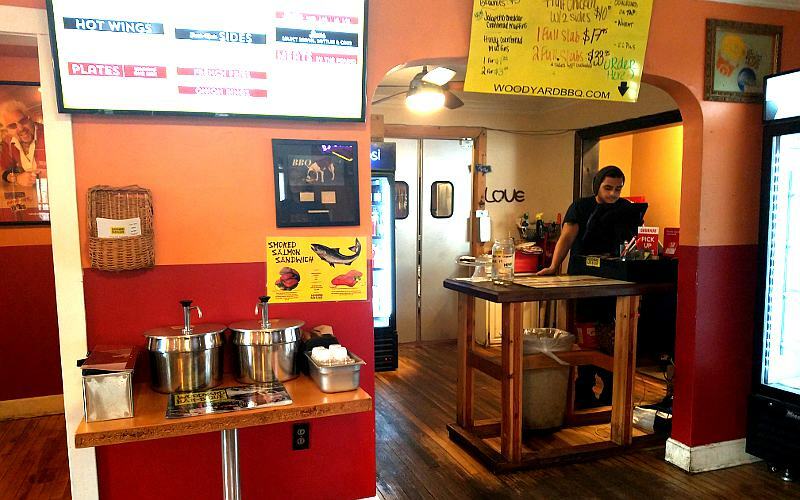 Along the way, the owner, Frank Schloegel II, started grilling meat for his customers at lunch time. 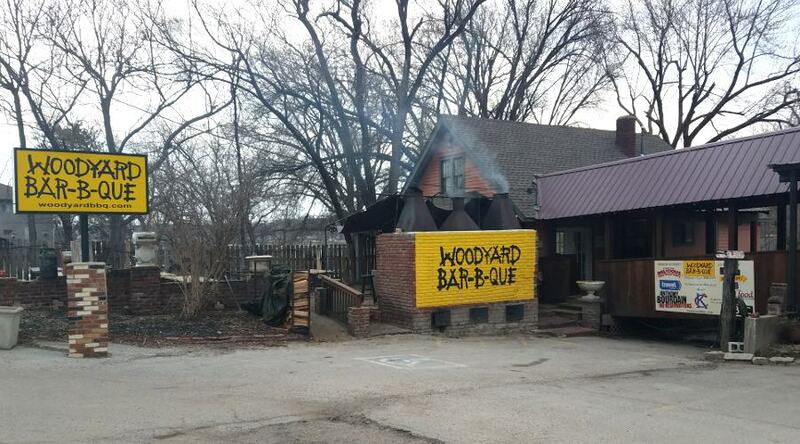 In 2005 he opened Woodyard Bar-B-Que in a house next door, using 3 large brick "pits" in front of the house. In time, additional seating was built where the woodyard is and the kitchen was given more room in the house. 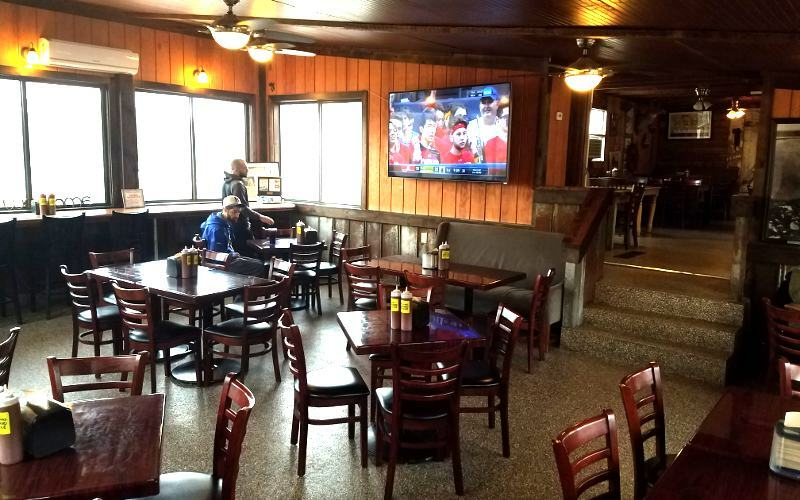 Two outdoor patios provided a large portion of the seating. National food writers, Jane and Michael Stern, were among the first ones to extol the virtues of Woodyard. In those early years, I felt that reputation was less deserved. 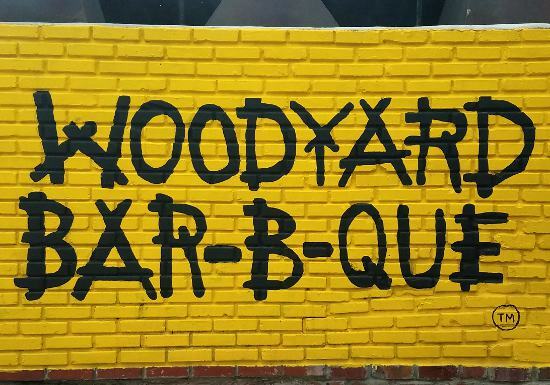 During my early visits to Woodyard Bar-B-Que, the meat was VERY smoky. The smoke taste pretty much overcame any other seasoning. The meat was not bad, but I still had the smoke flavor in my mouth hours later. 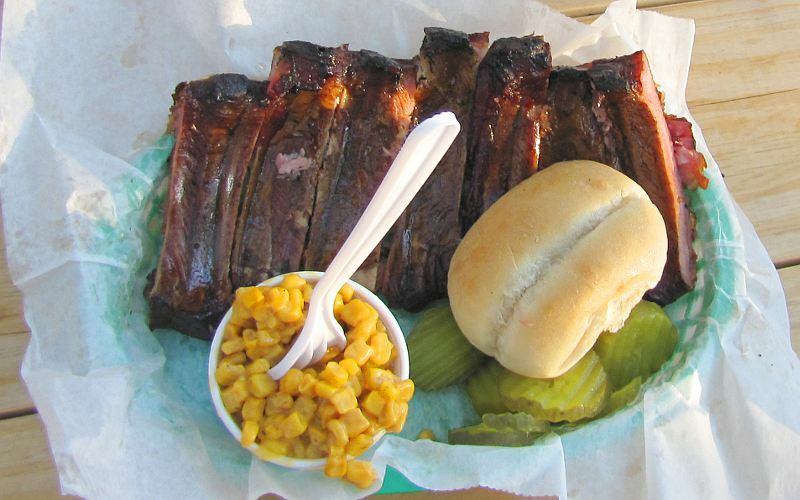 On one visit, a bite of the the pork ribs was like biting into charcoal. But starting around 2011, I found the meats to be more lightly smoked and much more enjoyable. 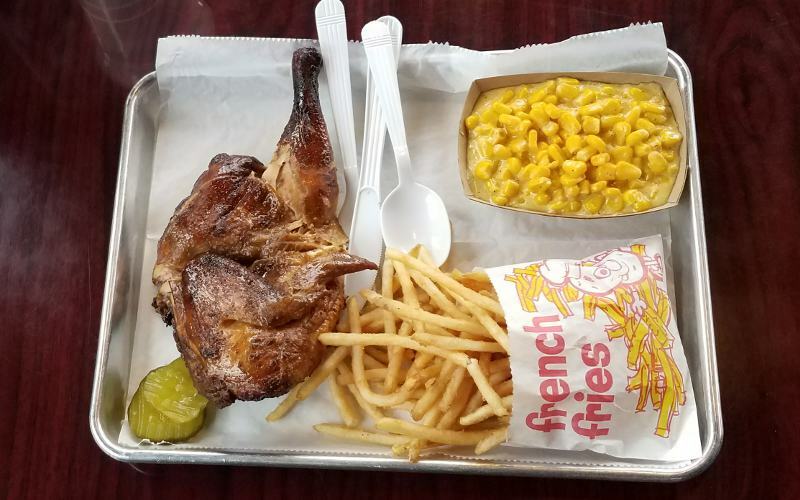 The sides have also improved time and they have added more dishes. The additional space has probably helped with that. Today, my personal favorite dishes are the spare ribs, smoked chicken and chicken wings. 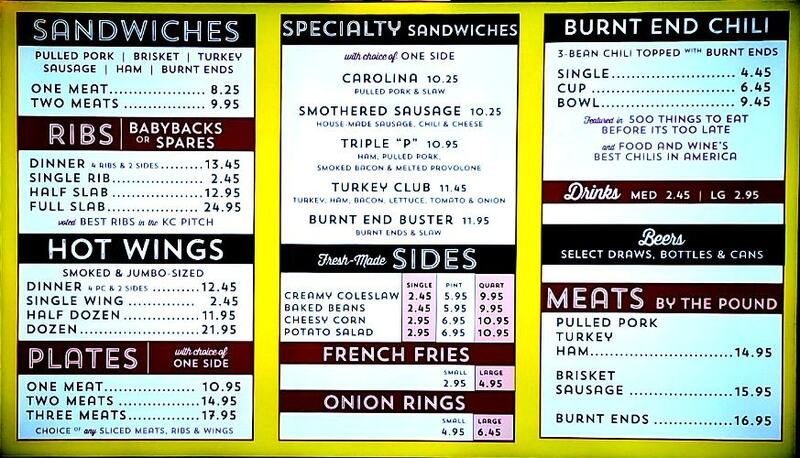 Many people prefer the burnt ends and baby back ribs. The meats still get much of their flavor from the smoking. 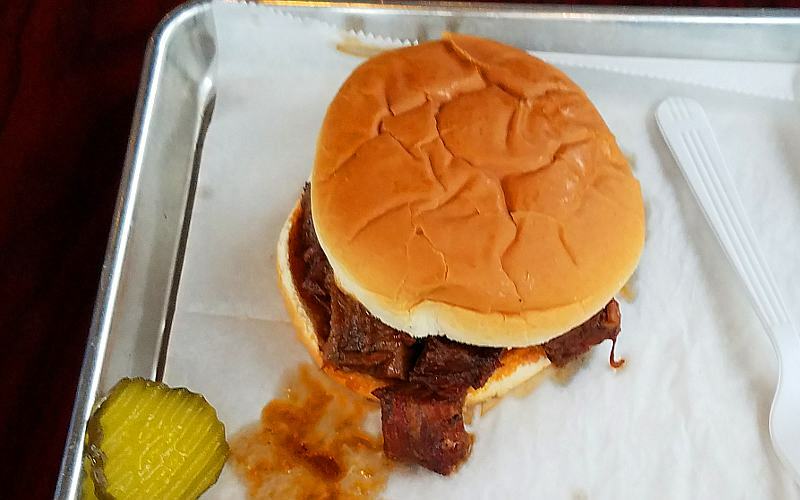 The burnt ends aren't what I think of as Kansas City burnt ends. They are closer to smoked cubes of roast beef, but still quite enjoyable. Many people like the 3 bean chili topped with burn ends, though I prefer the meat to be cooked with the beans, rather than added before serving. The chicken wings have been both smoked and fried. 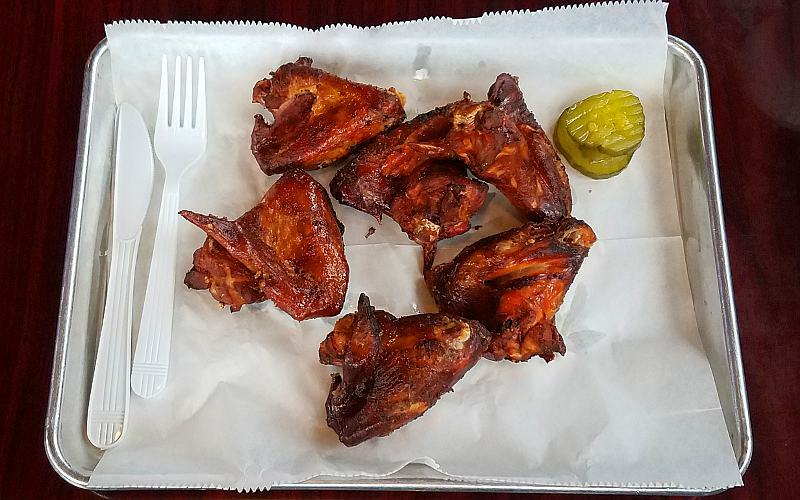 The small, whole wings aren't smoky or spicy, but have a nice crunch when you bite into them. The fries are battered, shoestrings, thinner than I would choose, but still good with a little of the sauce. 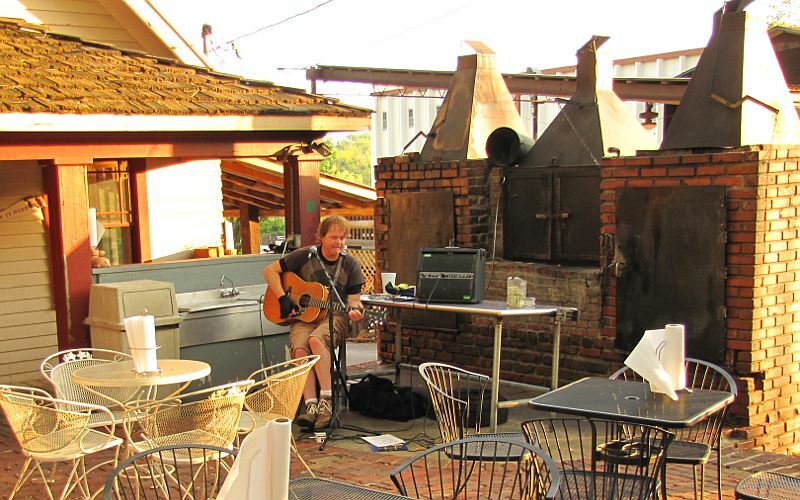 Woodyard Bar-B-Que occasionally has live musicians.